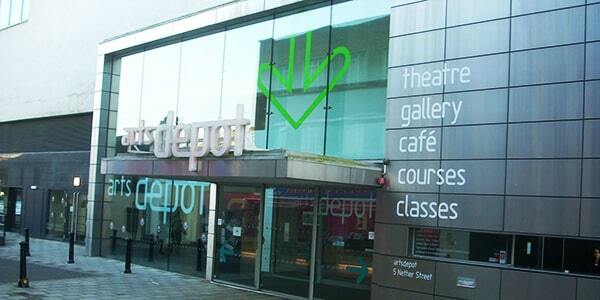 Originally conceived in 1996, the artsdepot project was officially launched in December 2001 by Tessa Jowell. The end of the building works was celebrated in a topping out ceremony in June 2003. The building opened to the public in October 2004 with a Community Open Day, which saw over 2,500 visitors. This was followed up by a special family day and a final launch night which featured VIP guests and members of the press. The first season of artsdepot was extremely successful and received several sold out performances and praise from the community. Artsdepot serves as a cultural hub for the London Borough of Barnet (as its only professional arts venue); featuring theatre, music, dance, comedy, visual arts, and a variety of classes, as well as a number of free events.